TERRAIN 20% off-road (Day 1), On road (Day 2), 60% off-road (Day 3), 20% off-road (Day 4). 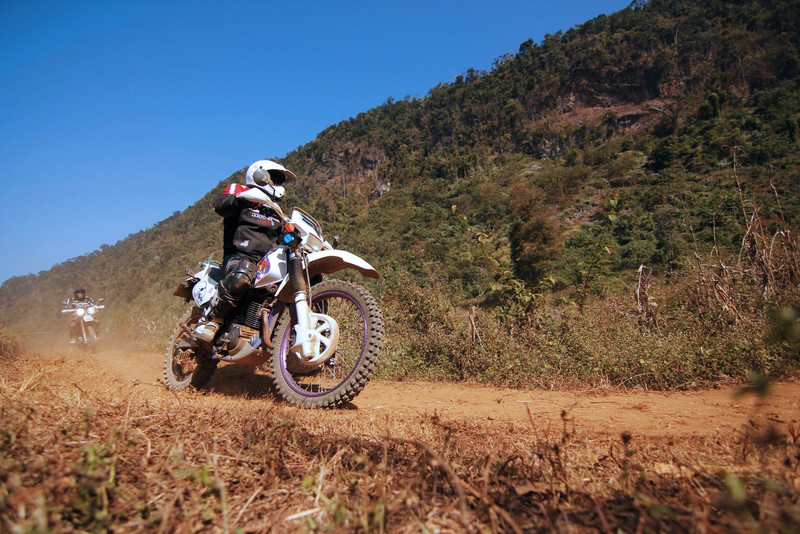 Option of more Off-road is available for experienced rider. TOUR CODE MTO-4-A1 (Homestay) or MTO-4-A2 (Guesthouse). 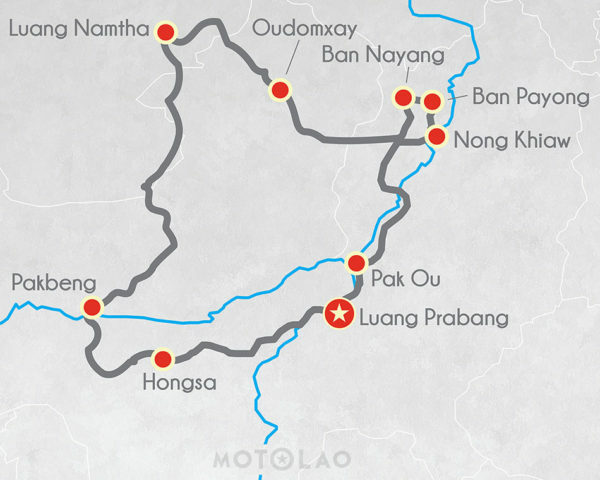 Your motorcycle tour begins in Luang Prabang before heading up north toward Nong Khiaw along some magnificent dirt and asphalt roads. 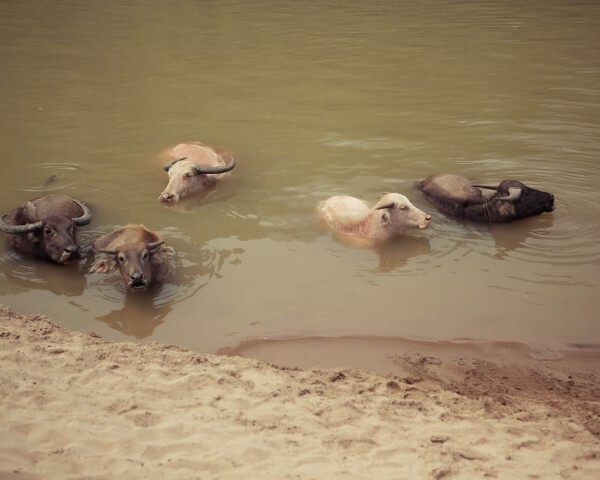 You will cross the mighty Mekong River by ferry and visit the historic Pak Ou caves along the way. Thousands of Buddha sculptures have been added to the Pak Ou caves over the years, making it an important site for Buddhism. You will then continue your motorcycle ride toward Ban Nagnan, where you will observe the continued tradition of silk weaving and silk dying from natural materials. Your night consists of an authentic home stay with a local family in Ban Nagnan, where you will enjoy freshly cooked Lao food and have a deeper understanding of their unique way of life. If you are not interested in the home stay experience, we will accommodate you in a nearby guesthouse in Nong Khiaw. On your final day, you will leave early from Pakbeng and ride out on your motorcycle to Hongsa. Hongsa is a remarkable village that has two bustling markets packed full of freshly prepared Lao food. You will continue through Hongsa to Sayabouri, another fascinating town with ancient Buddhist temples and stupas. 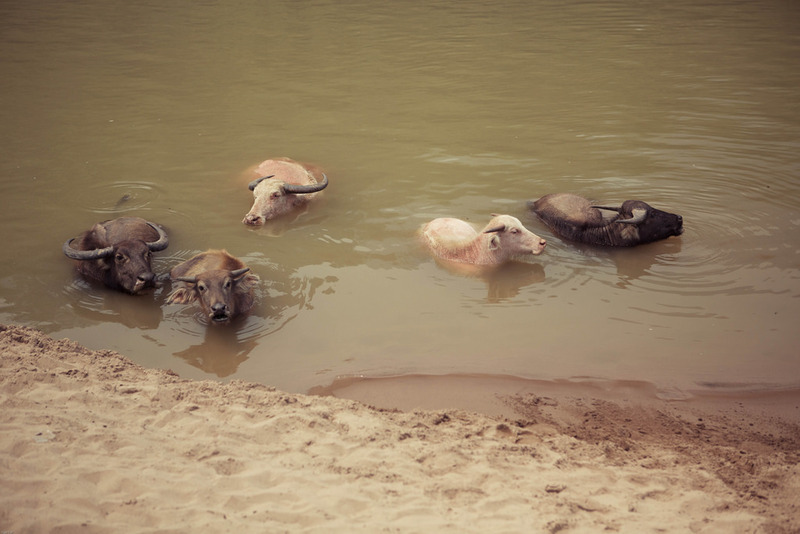 After Sayabouri you will traverse the Mekong River and drive through Muang Nan, a quaint village with hospitable people. 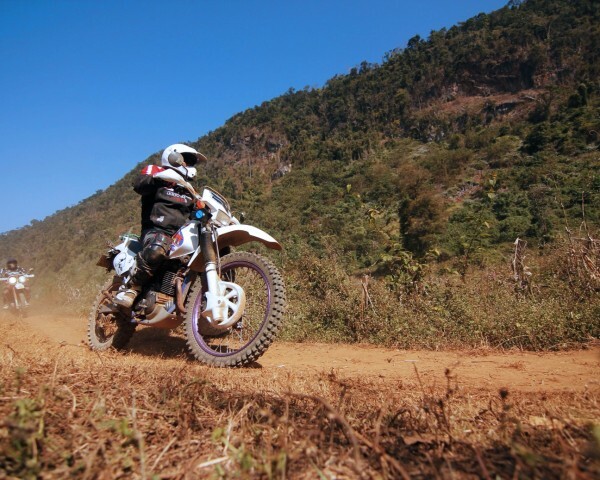 On the final stretch back to Luang Prabang, your will ride out on dusty roads along the Mekong River with a few river crossings along the way. 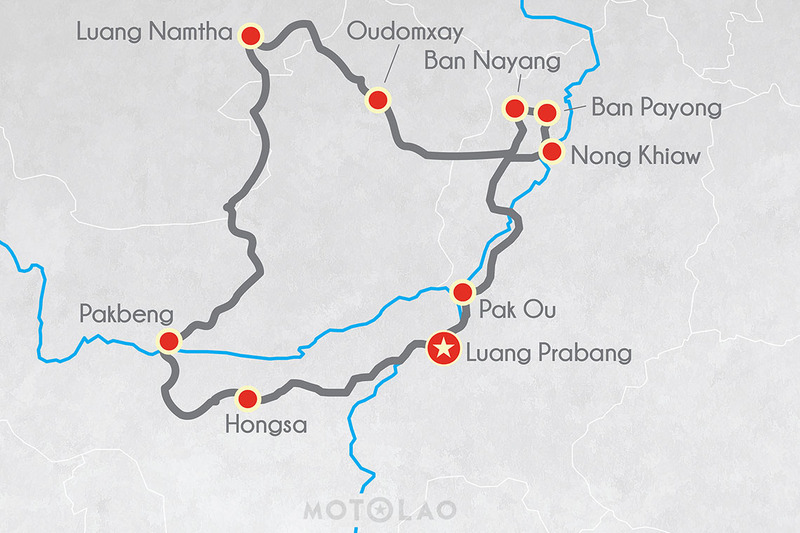 Your four-day motorcycle ride concludes once you arrive in Luang Prabang in the late afternoon.